CNC Machining & Prototyping has empowered manufacturers with great dimensional perfection, speed, validation of prototypes prior to scale of production with materials desired and ease of producing complex geometries and designs. You can't miss learning about it. Read ON! CNC – The Computer Numerical Control started out as a concept to defeat the long-standing problems of manufacturing a product that matches the dimensional accuracy, surface perfection and speed of manufacturing that the design expected in real time. Either the processes of achieving the final prototype/prodcut were far too cumbersome or produced imperfect outputs that were never apt fit for the final design need due to complex geometries involved. This process of CNC machining that rapidly got developed realized a use not just for volume manufacturing but instead for creating prototypes that were achieving perfection for validation of products for giving sanctions to final orders of bulk. This allowed to create those prototypes that were before thought impossible to manufacture before due to complexities of designs and difficulties to use the actual materials into prototyping. 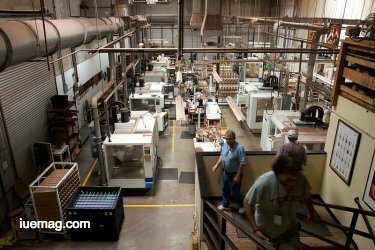 CNC Prototyping and machining industry has got itself into a limelight worthy of investor attention. With a CAGR of 6.8%, CNC machines are expected to be 100+ bn$ worth according to the report by Grand View Research. The milling machines segment is estimated to post the highest CAGR of 9.5% during the forecast period owing to above stated developments in the industry that have reduced the time of prototyping and manufacturing. There are many aspects of this industry that many people haven’t made themselves aware of. Startups of today & engineers working with them, the founders of companies from non-technical background, manufacturers of spare parts, factory owners who have invested newly but aren’t aware of all applications (are running lesser verticals than they can) and many others who aren’t aware of various applications go through the hurdles of discarding their innovations and delays in creation of prototypes because they haven’t tried the wonders of CNC Prototyping. Elimination of creation of codes: The research group, led by Professor Keiichi Shirase from Kobe University Graduate School of Engineering, says they‘ve created a world-first machine that only needs the start and finish geometry, and does the rest itself. The machine works by drawing on a database of machining information, and is able to make decisions about the optimal process to use. So the earlier way of doing things using the G-Code language that takes the vector drawings and converts them into an instruction set that CNC machines understand for the process of CNC Prototyping. BoXYZ: This company has made a machine which is 3D printer, CNC Mill and a laser engraver, all in one. This is the step towards achieving prototyping results and volumes of products and designs that were once just a part of imagination or CAD drawings. Machine alerts on Smartphones: Many of them have worked on this end in various ways but notable among them is the idea of alerting users via phone/email/app-notifications about the status of their machines and processes too. Multiple machines can be connected at the same time from various locations globally, which gives great strength, reliability and anticipation for manufacturing anticipations. 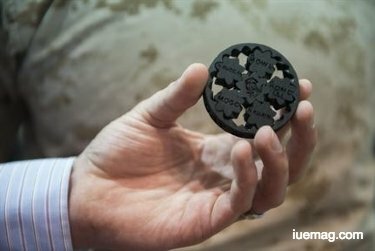 The 5-axis technology: Using this 5-axis technology one can reduce the number of configurations necessary to achieve prototypes of complex geometry. These developments have indeed taken the CNC prototyping to another level bringing great visionary designs with final desired materials to reality in least amount of time, with high precision and quality outlook giving the innovation a new level of confidence and hence moving mankind to a whole level of manufacturing perfection that can get desired. No wonder the common man desires perfect products ergonomically & aesthetically besides being budget friendly. Geographically, the global market for CNC machines is led by Asia-Pacific, with this region accounting for a share of 35% in 2015, expected to go upwards by 2025. The region was also the highest contributor of the revenues in 2015 while the US CNC Machines market size is expected to reach 11.46Bn$ by 2025. 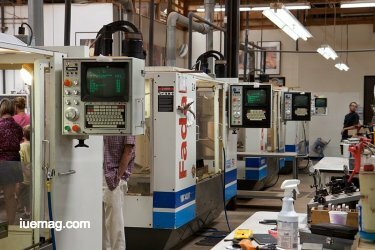 If you are innovating or dreaming of creating your next big product or launching the next big idea do not forget there are amazing companies and manufacturers with quality CNC machines to help you get your prototypes with the help of CNC Prototyping facilities with just about any material that you might want to see your final products with. The costs aren’t exaggerated either given that quite a few companies are open for any order number for prototyping and manufacturing given that they own large number of machines and the output isn’t dependent on factors that increase costs for one time production and also the chances are likely that customers who get prototyping done from one manufacturer place long term orders with the same company. What are your views on CNC Prototyping and CNC Machining, share them here in comments. If you have anything valuable to add here, which you think we have missed we do look forward to read from you in the comments. Any facts, figures or references stated here are made by the author & don't reflect the endorsement of iU at all times unless otherwise drafted by official staff at iU. This article was first published here on 17th January 2019.